On the International Space Station, Howard is caught in a feud between Bernadette and his mom. Back on Earth, lone wolf Raj becomes a third wheel on not one but two dodgy dates. Secrecy isn't Sheldon's strong suit, especially when he attempts and intervention after learning Penny has second thoughts about Leonard. Howard is picked on by his fellow astronauts. Highest anxiety! The pressures of being in space start to take a toll on Howard. Amy feels threatened when Sheldon hires a young female assistant. Howard's back from space...and in the doldrums because his hero's welcome fails to materialize. Meanwhile, Game Night turns into a battle of the sexes. Leonard seduces Penny with science. Preparations for Stuart's Halloween party consume Raj. Howard can't stop talking about space, until astronaut Buzz Aldrin gets him grounded again. Sheldon and Leonard are both driven to distraction: the former when he plays Words with Friends with Stephen Hawking, the latter when Penny enrolls in a college class. 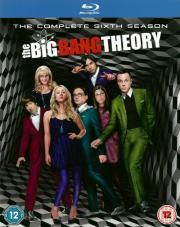 Caught in the middle of a feud between "girl-friend" Amy and "good-friend" Wil Wheaton, Sheldon seeks advice from Penny. Bernadette pressures Howard to move completely out of his mother's house. Howard and Raj investigate the mystery of where Sheldon goes every afternoon at 2:45, while Leonard struggles with his jealousy of Penny's British classmate. Parking Spot-ageddon! When the university reassigns Sheldon's (unused) parking space to Howard, the resulting turf battle involves everyone. Doctor in the house: Sheldon plays nursemaid to an ailing Amy. Man in the making: Howard tries to bond with his stern father-in-law about an upcoming fishing trip. Holiday frivolity: Sheldon relives a few Christmas memories during a holiday-themed Dungeons & Dragons game, while the girls try to find the perfect match for Raj when he joins ladies' night. You can't say that! But Sheldon does, resulting in a workplace sexual harassment charge that drags Leonard, Raj and Howard into the human resources fray.